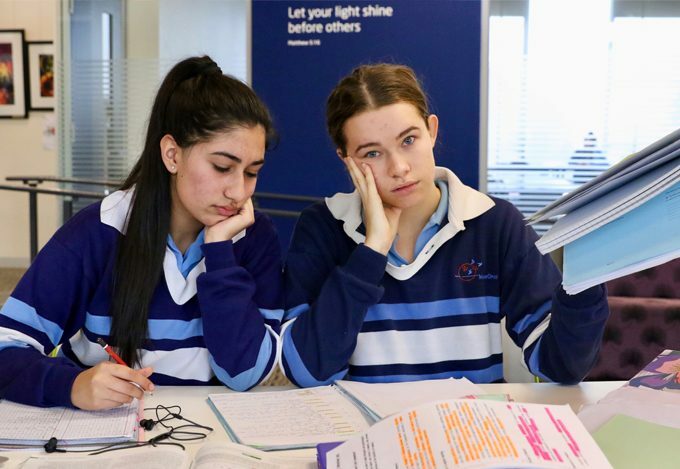 The month ahead can be the most challenging for the whole year for some Year 12 students (and students at other levels and parents and teachers). We can barely remember the beautiful long, summer days. Mornings are darker and colder. The excitement of the new year and the Formal is long forgotten. The end of the year is out of sight… and there is sooo much work to do. have well established routines and stick with them. maintain a healthy balance of sleep, nutrition, water, study, social connection and exercise. have clear goals to help them see beyond the short-term inertia. While the web is loaded with study tips and advice about being a successful student, we come back to FOUR key ideas through our Pastoral Program and activities with students. We all need a sense of purpose for our efforts. Now is a good time to revisit, rethink and perhaps rewrite your goals. Successful students frequently refer to the centrality of their goals. TIP: Read your goals every day, draw and display them. Draw up a realistic daily/weekly/monthly planner and work hard to honour it. Know what is important and give that priority. TIP: Make lists and tick things off. Reward yourself. Play your power-song, sing, dance and laugh… and take control of your social media time. Most of us have some tasks that we put off, but we can have different reasons for our particular avoidance. With a little bit of reflection, we can also work out why we are procrastinating (perfectionism, fear of failure, confidence slump, too much work, tiredness… ). Once we know why we delay, we are more likely become proactive. TIP: Acknowledge the truth of your procrastination, create do-able bits and start the task... or read these excellent tips for beating procrastination. Forgive, encourage and reward yourself. Be kind and grateful to others too. It will fill you with positive energy. While it is natural to be supportive of those around you, recognise the difference between supporting and owning others' problems. TIP: Be kind to yourself by keeping a healthy life balance (see above). If the mid-year blues are beginning to creep into your psyche, call it out… and refresh. Even if we apply just one or two ideas from the suggestions above, it will make a difference. For more ideas, the Beyond Blue website provides some of the best ideas for students and parents.